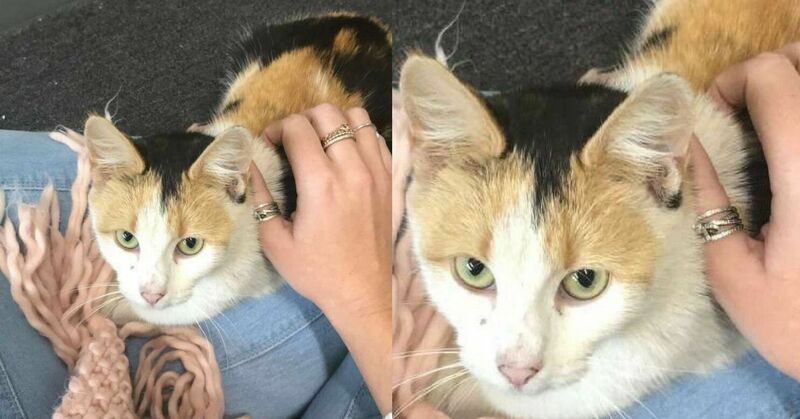 Shelby Heness of New South Wales, Australia, noticed the emaciated frightened cat when the cat began hanging around the youth center where Heness works. Out of concern for the cat's well-being, she offered it some of her tuna from her lunch, but the cat was so afraid of the woman that Heness had to walk inside the building before the cat would eat the food. Heness decided to bring cat food to work from that day forward to feed to the cat. She had no idea that she was helping much more than just one lost soul. Starting the next day, Heness would leave the bowl of cat food outside the center. 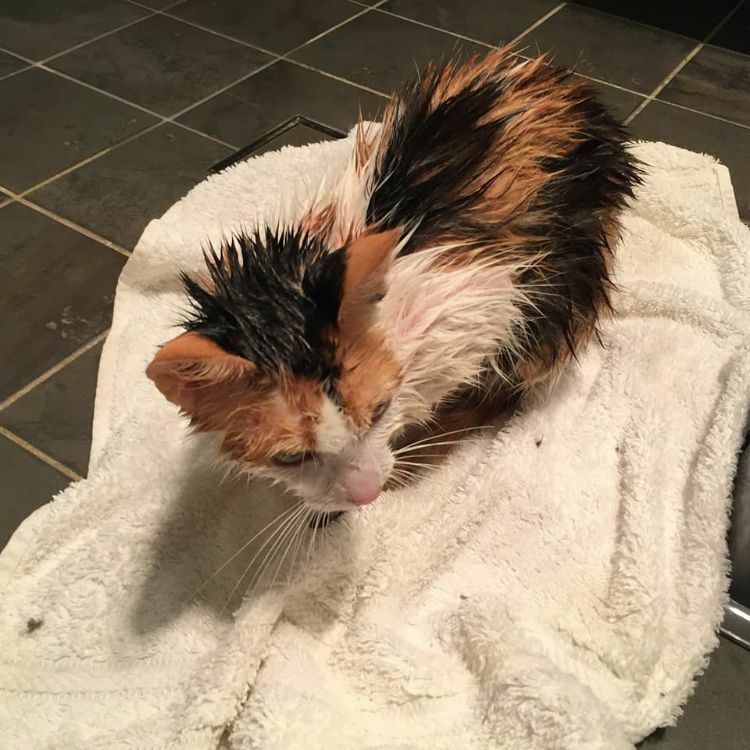 The cat was so starved that she would wolf the food down as soon as she saw it. "I left the food out each day, leaving the bowl closer to my door. I would sit outside and watch her eat each morning," said Heness. Eventually, the cat let Heness sit near her when she was eating. Slowly, a relationship formed between the cat and Heness. "I tried petting her, and she would let me only while she ate. However, after a few days of petting her she became incredibly friendly. She would rub up against me, and come and sit in my lap. 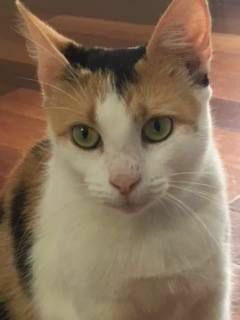 If I left the door to the office open she would walk in and jump up onto my lap or desk and purr away happily as I worked," Heness explained. Heness then noticed that the cat's belly was becoming extended, and she realized the cat was pregnant. Worried about the cat and her future kittens, Heness reached out to a rescue group, but all they could do was put the pregnant cat on a wait list. Then one day the cat showed up, and she was no longer pregnant. No matter how hard she tried, Heness could not find the kittens. A few weeks later, the cat showed up at Heness' workplace, and she wasn't alone! 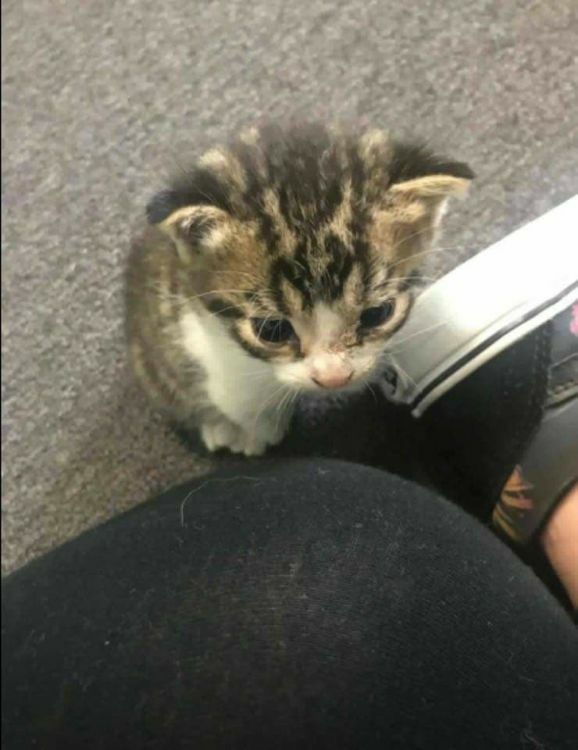 "She showed up to my office with a tiny kitten. She left him with me and disappeared. I followed her and found another little kitten. I brought him back to the office with his brother and mum followed," Heness said. Heness was able to get the mother cat and her kittens to a veterinarian's office that afternoon. Unfortunately, the kittens had ringworm, an extremely contagious fungal infection. They needed help, and fast, but every shelter that Heness turned to turned them away. 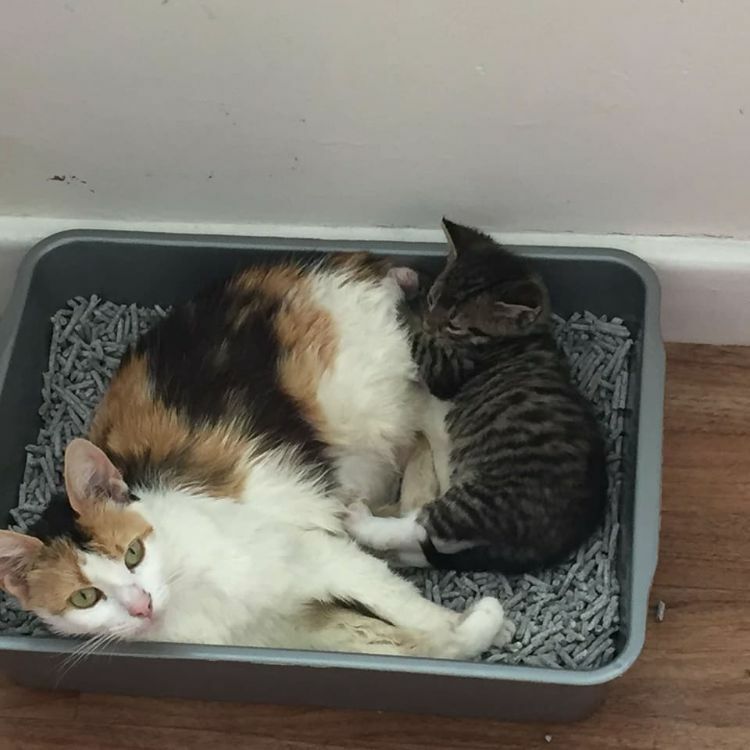 The first shelter that had placed the mother cat on the wait list no longer wanted to take them in because of the ringworm diagnosis, and another shelter Heness contacted said she could drop them off and they would be euthanized. 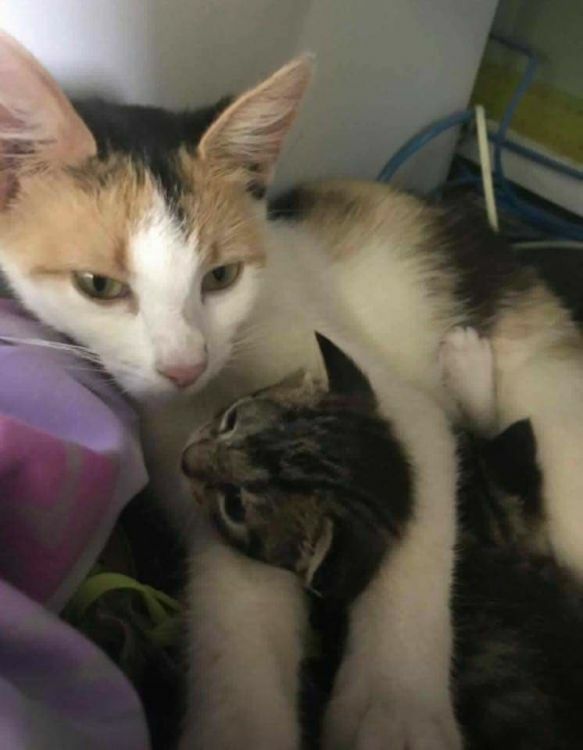 The veterinarian suggested Heness take them back to where she found them, but she refused to abandon this mother cat and her little ones. "I couldn't bear that so I took them home and housed them in my shed," she said. 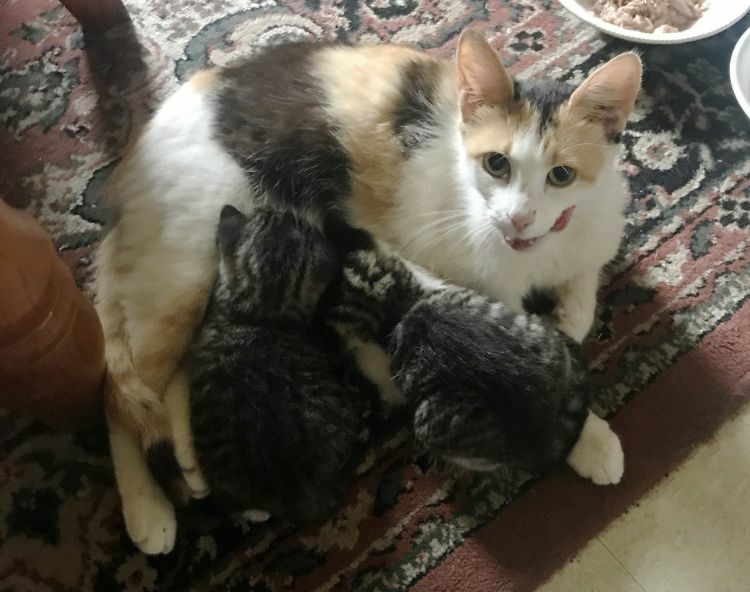 She then found the CatRescue901 organization, and they immediately agreed to take the mother cat and her babies. The cats were placed with a veteran foster named Judy who had experience working with cats with ringworm. With Judy's dedication and care, the mama cat and her kittens recovered their health, and now they are waiting to move on to their forever homes! Because of Heness' dedication to the cat and her babies, the cat was officially named "Shelby" in her honor. Mama Shelby and her babies now have full, happy, healthy lives ahead of them because one woman wouldn't give up on making sure they were safe and sound. Share this incredible story with your family and friends on Facebook.